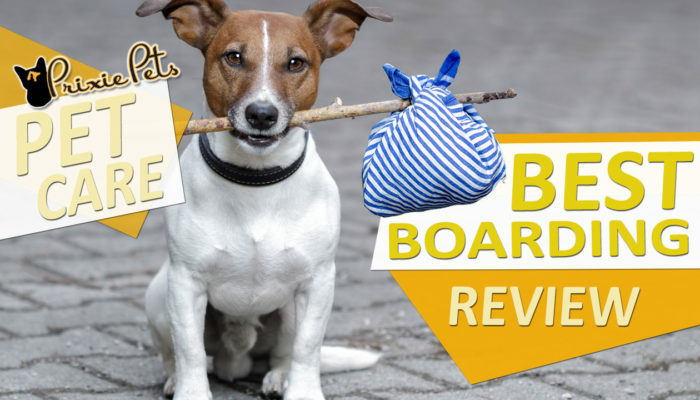 Home → Pet Care → Dog → How to Make your Dog ShedLESS! 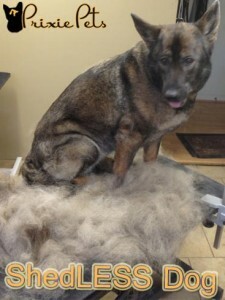 Step by step instructions for removing excess fur from your hairy dog at home! The fist thing you want to do is remove all the excess hair from your dog. 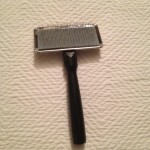 To do this, run a slicker brush or undercoat rake quickly through your dogs coat just to loosen up the undercoat. 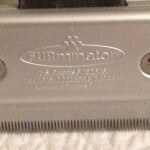 For medium coats, get out lots of loose hair by using the FURminator . If your dog has some longer hair like a golden with feathering, make sure there are no knots of fur. Gretchen, a German Shephard, after being brushed out and ready to bathe. After brushing it will be time to put your dog into the tub. Wash your dog in a moisturizing shampoo (for dogs of course!) or a de-shedding shampoo. I find diluting the shampoo with some water in a shampoo bottle makes it easier to get deep into thick coats. FYI: a dog with a dry coat will tend to shed more. 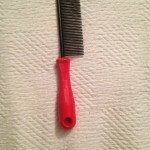 Again run your slicker brush through your dogs coat paying extra attention to the thick areas. Do not apply too much pressure while brushing because it is easier to give your dog brush burn when their coat is wet, but the benefit is it tends to tug less and is more tolerable for the dog. Next: Do a quick rinse over the entire dog. At this point don’t worry about a through rinsing because you are just going to be applying conditioner on the dog. Apply the conditioner. Rub it in good, again paying close attention to the thicker parts. 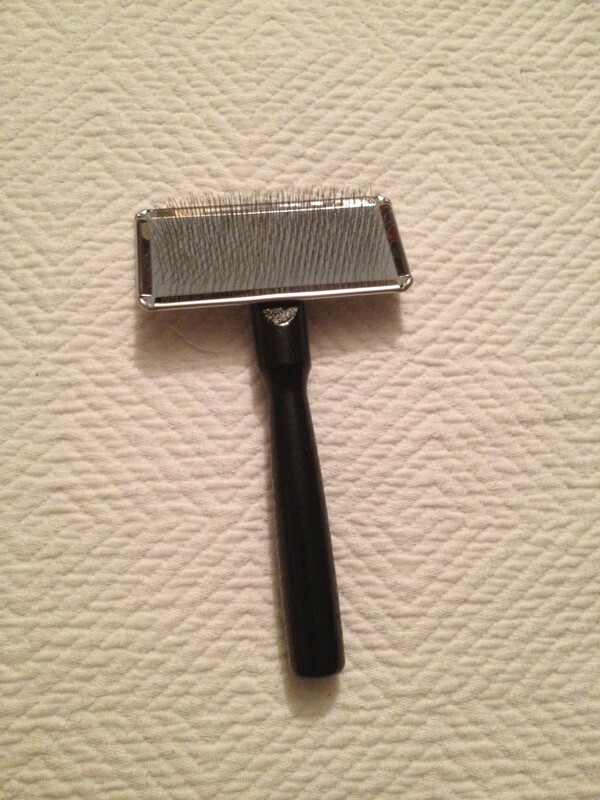 Now, brush through the coat again with the slicker brush . 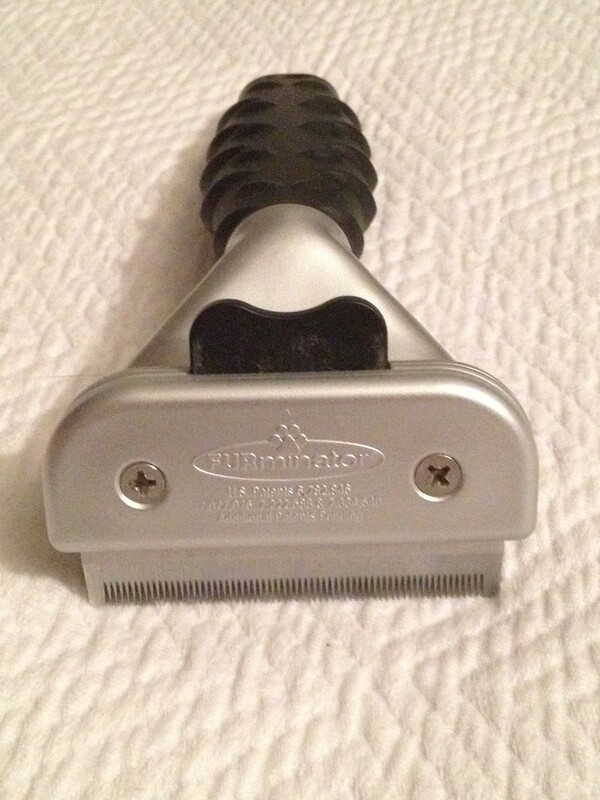 It’s not necessary but you can run a metal comb through the coat as well. 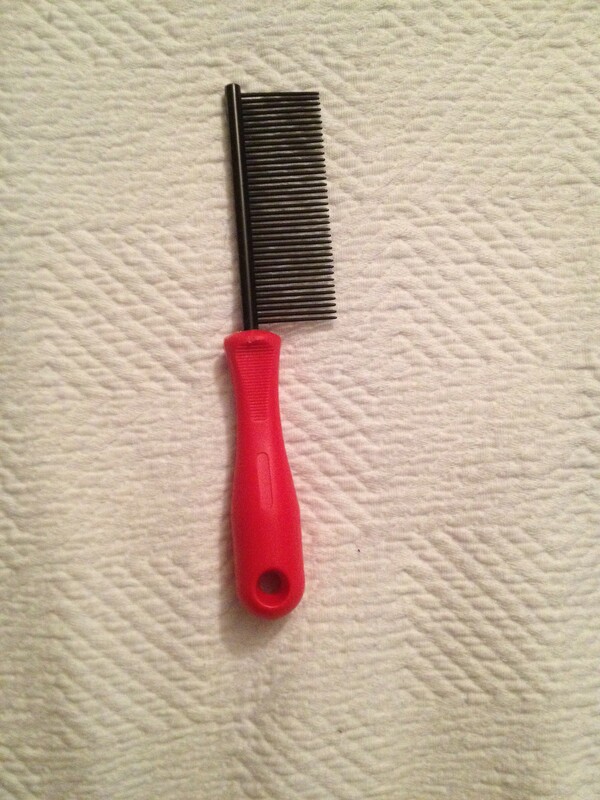 Once you feel like you have gotten a majority of the hair out and your slicker brush is not getting full of hair every time, start rinsing. Rinse very very well. When you think you are done rinsing…go over the dog one more time just to make sure. Leaving soap or conditioner residue in the dogs coat can cause them to be itchy and dry. 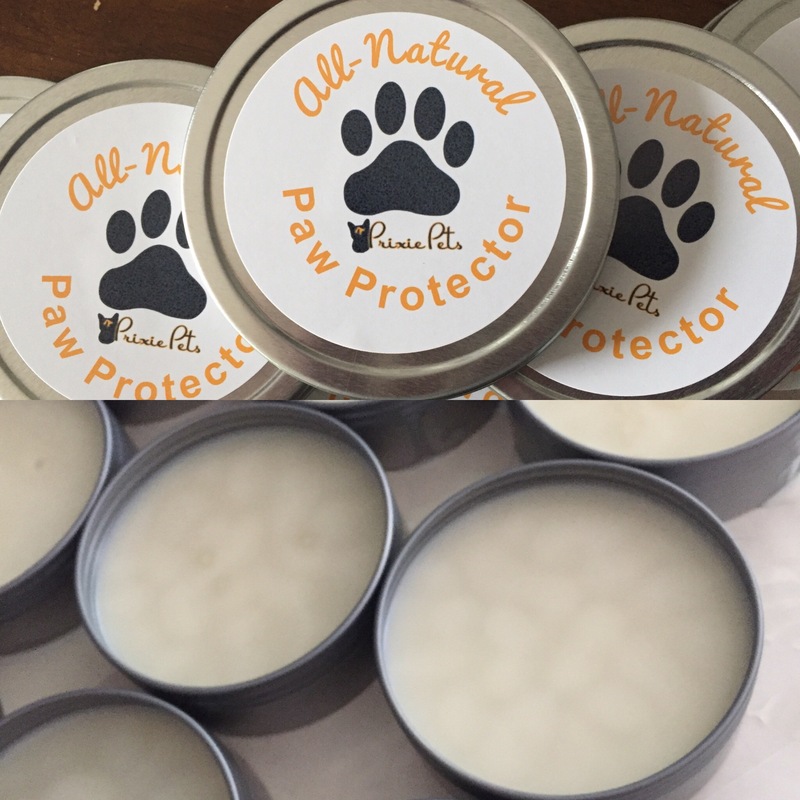 Read: Best Smelling Dog Shampoo Ever! Towel dry the dog well. Depending on how thick of a coat your dog has you may need multiple towels. For best results dry the dogs coat. 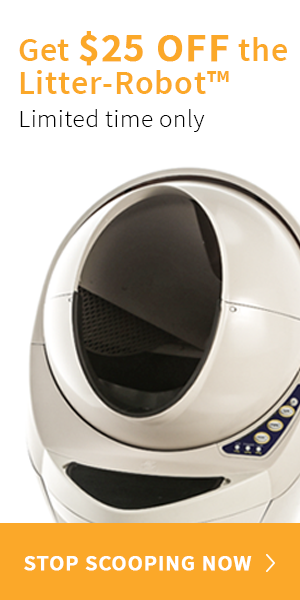 Being a professional dog groomer, I use a high velocity dryer, which helps a great deal by blowing out any leftover undercoat. If you are going to be grooming your dog at home frequently and they have a thick coat I would invest in one. 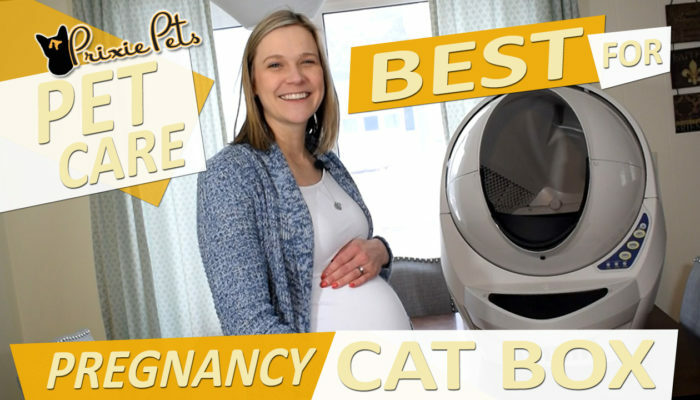 For a pet owner I personally would recommend the B-Air Dryers for price and quality. Dogs like a husky with that thick coat need to be dried completely so they don’t get hot spots! Smaller dogs or not so thick dogs, a hair dryer should do the trick. I recommend using a moisturizing/finishing spray like “glo coat” or “the stuff” and brushing lightly with the slicker brush while drying. 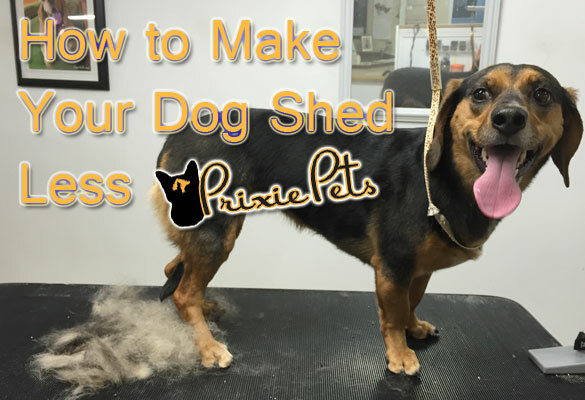 Well there you go – How to Make Your Dog SheddLESS and De-Fur Your Home. 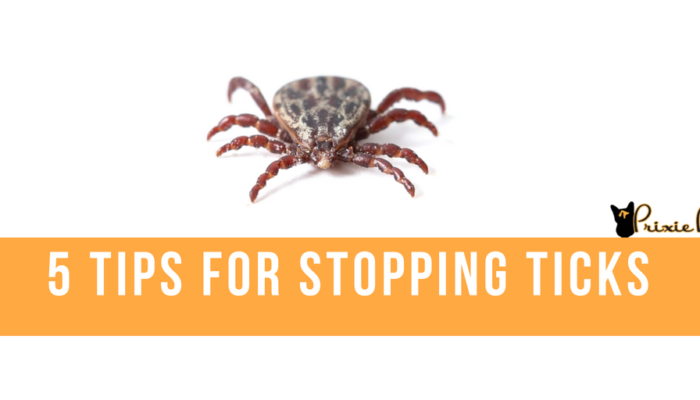 Hopefully this will help you this spring, when dogs shed much more. Let us know if you have any questions, tips or tricks for controlling dog shedding in the comments bellow or pin it up so you have this how-to at your fingertips! 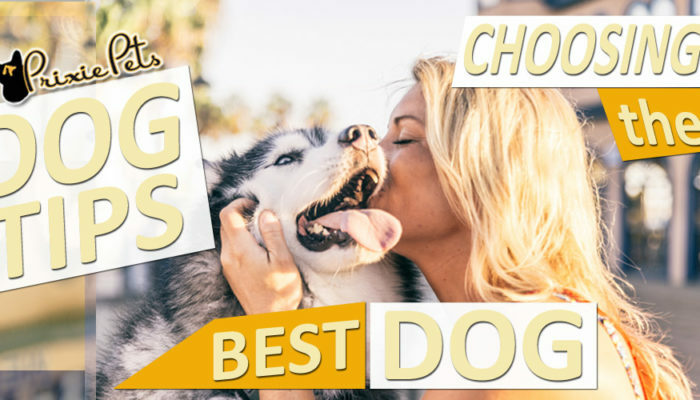 Make Sure to Check Out Our Pet Care Tips!